Home New Collection Sigma Beauty Sigma Brushes Synthetic The Bunny Collection Vegan New From Sigma Beauty - The Bunny Collection! 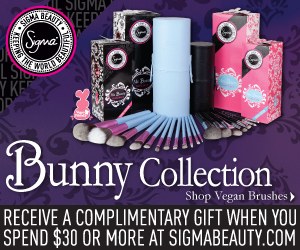 New From Sigma Beauty - The Bunny Collection! 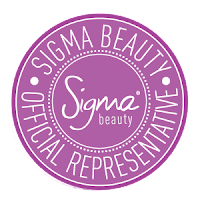 The Sigma Beauty Bunny Travel Edition was specially designed to deliver the perfect makeup application. This collection utilizes Sigmax HD fibers, which guarantees perfect product placement without absorption into the bristles. This kit contains all the essential brushes you need for a flawless look on the go in an innovative and functional container that turns into two brush holders! The Sigma Beauty Bunny Collection was designed to deliver the perfect makeup application using all synthetic brushes. The Bunny Collection utilizes Sigmax HD fibers, which guarantees perfect makeup placement without product absorption into the bristles. This kit contains 12 brushes from our best-selling Essential Kit. The brushes come in an innovative and functional container that turns into two brush holders to keep you stylish, organized and vegan-friendly! Large Shader - E60 Flat shape is ideal for application of cream formulas and eye shadow primers. Medium Angled Shading - E70 Angled, tapered, flat top. Ideal to apply highlight shades underneath the eyebrow and on the inner corners. Duo Fibre - F50 Specially designed to generate an airbrushed finish when used to apply blush, highlight shades and foundation. Concealer - F70 The rounded, tapered, flat shape makes this brush ideal to conceal the under eye area.